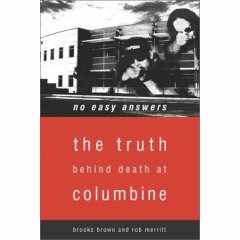 It is difficult to explain why there have been so many cases in the United States of kids killing parents, relatives, schoolmates, and total strangers. This essay flow chart helps students recognize how to support an argument and to avoid flaws in their logic. Like many of society's troubling issues, the explanations are murky at best. Yet, despite the lack of clarity, we want to untangle motives, influences, factors, and possible deterrents. When postulating a cause and effect relation, it is important to examine the nature of explanations and the argument for possible bias, logic flaws, faulty assumptions. Engaging the Reader. Start with an illustrative scene, or details cases or examples. Your goal is to engage the reader and to have him/her ask questions. It is very persuasive to provide statistics and background. However, statistics can distort the situation and shape the reader's perception of events. Statistics can reinforce negative stereotypes, in addition to providing a realistic view of things. Are some people born violent? Or, alternatively, does the environment make a person violent? Are individuals socialized into violence? Nature vs. nurture arguments are easily accepted by most readers, but if one is not careful, an argument can be biased and simply reinforce already existing opinions, ideas, and political stances. Psychologist Albert Bandura conducted ground-breaking experiments which suggest that children imitate violent behavior seen on television. This argument has been expanded to suggest that children will behave violently after being exposed to media of all kinds, including video games, multiplayer interactive computer games, violent images, television, and even music. Cautionary note: Does the author have a hidden agenda? Are the statistics being used to support underlying bias? There can be faulty assumptions, too. Does every exposure to violent behavior result in violent action? Does this assumption lead to damaging stereotyping? Are some people born with brains that are "wired" to be violent? Brain scans that demonstrate differences between the brains of violent criminals and ordinary law-abiding individuals have been used to support the notion that organic differences in the brain and nervous system are responsible for violent behavior. Cautionary note: Whose research is being used? How did they conduct their research? Is there hidden bias? Be alert to socio-economic, ethnic stereotyping which masks itself as "biology." Do some societies develop a "culture of killing" that rewards people who are violent in certain ways? Are kids who kill transformed into anti-heroes, or cult figures? Does this lead to copycat acts? Which sociological and psychological theories and theorists can be used to weigh in on both sides of the argument? Cautionary note: Is the writer's bias getting in the way of objectivity? Are things what they seem to be? Do appearances deceive? Can children's violent acts be attributed to a general decline in morality and values? This argument is often used by individuals who are promoting a particular agenda. In using this argument, it is very important to define morality, values, and the ideal. It is useful to also refer to philosophical ideas about the common good and ethical behavior. Possible Cause #5: Conditioned to Kill? Possible Cause #6: Child Soldiers -- Stunted Emotional Development? Never Developed Empathy? There are many ways to exploit children, from child labor to trafficking. In armed conflict (wars, including drug trafficking), children are often used as soldiers and assassins. What made it possible to induce a child to kill in the first place? Do young minds not consider the people they're killing to be "real" ? Does it seem unreal? At the same time, do they kill out of fear? or pleasure? There have been an number of in-depth studies of child soldiers in Africa, and it's worthwhile to take a look at what people have observed. "Transmission of Aggression through Imitation of Aggressive Models"
"The Trend of Violence on the Indian Screen & its Influence on Children"
ChildTrauma Academy, Bruce D. Perry, M.D.